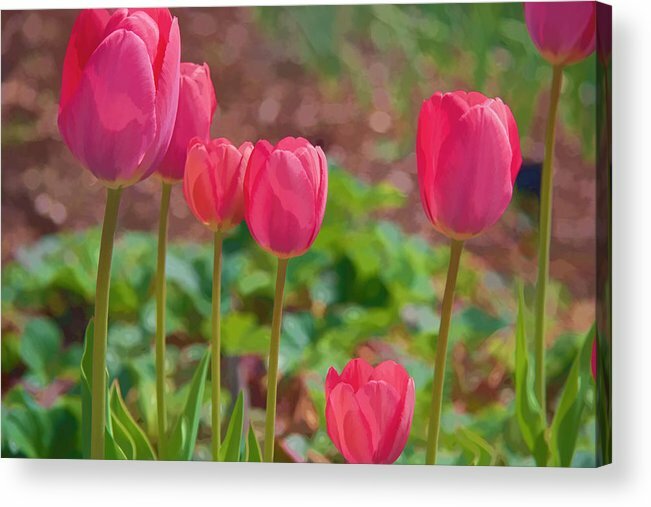 Mom's Spring by Kathy Bassett - 10.000" x 6.625"
Mom's Spring acrylic print by Kathy Bassett. Bring your artwork to life with the stylish lines and added depth of an acrylic print. Your image gets printed directly onto the back of a 1/4" thick sheet of clear acrylic. The high gloss of the acrylic sheet complements the rich colors of any image to produce stunning results. Two different mounting options are available, see below. A wonderful treasure in many ways! Thank you for choosing Mom's Spring as a favorite, Brenda! Thank you Robyn, for the feature in such a lovely gathering of artwork! Thank you for making Mom's Spring a favorite, Jane! Beautiful ! Voted in SPRING FLOWERS contest. 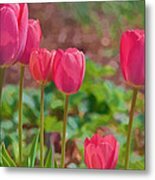 Thank you for featuring Mom's Spring in your Visions Of Spring group, Dora! 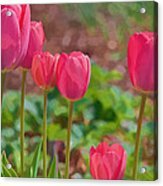 I appreciate the feature of Mom's Spring in your Beauty group, James! Thank you for featuring Mom's Spring in your Pleasing The Eye group, Jeff! Thank you Lucia! Your gallery is wonderful fun! Thank you for the feature of Mom's Spring in your ART BY GOD group, Karen!! 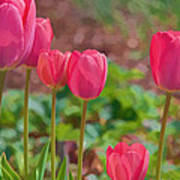 A beautiful spring day brings out one of my mom's favorite flowers, the tulip. A loving memory whenever I see these and all the flowers of spring!